Any new Ford is big news for the fleet industry, with the manufacturer being the best-selling brand in the sector. 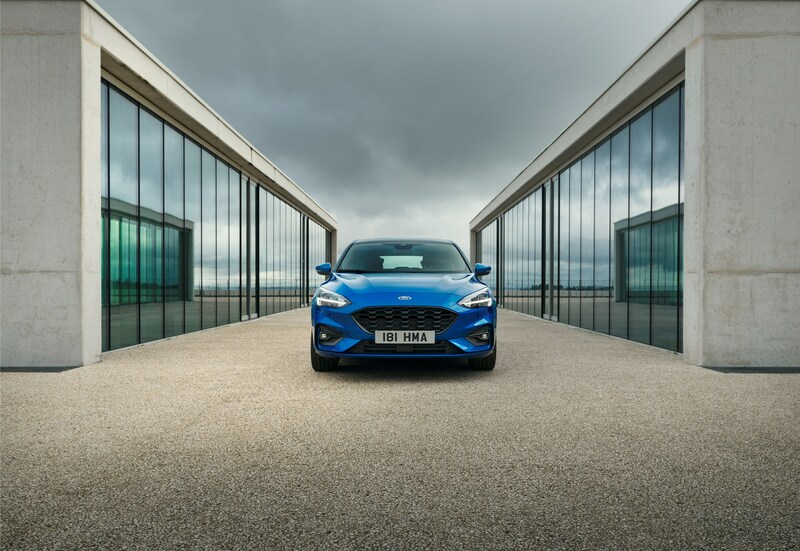 Last year it replaced its Fiesta supermini with an all-new model and this week it unveiled the replacement for Focus: the second-best selling car in the fleet segment. Ford says the new model will be 10% more efficient that the outgoing model, while P11D prices will also be lower: reducing costs for fleets and company car drivers. It will be available in two bodystyles – five-door hatchback and estate – and for the first time will be offered in an Active crossover variant, which offers a 30mm increased ride height over the hatchback, larger wheels and tyres, roof rails and plastic cladding around the wheelarches. 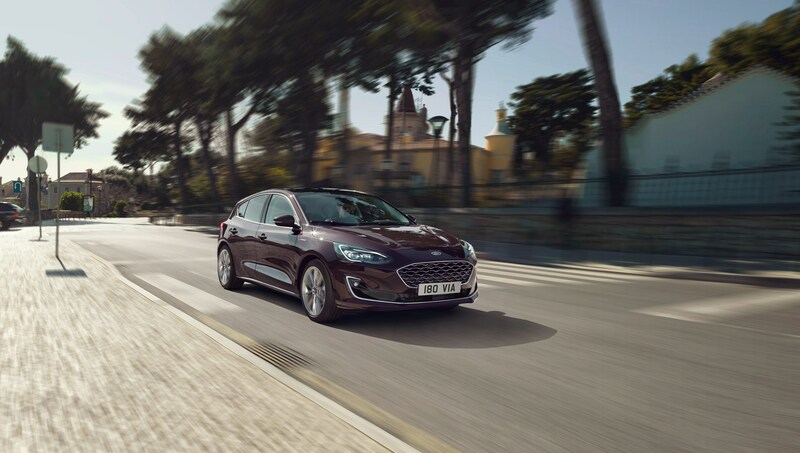 In total, the new Focus will be available in seven trim levels – Style, Zetec, ST-Line, ST-Line X, Titanium, Titanium X and Vignale. Prices begin at £17,930 for the entry Style, £2,300 cheaper than the model it replaces, while the Zetec and ST-Line – which together represent 55% of sales – are now £850 and £250 less respectively. The range is on sale now, with first customer deliveries expected in September. Ford says that a combination of efficient powertrains, improved aerodynamics, lower weight and reduced tyre and brake drag has reduced fuel consumption by around 10%. A like-for-like comparison with the outgoing model is difficult as the new range is being tested under the WLTP protocol while the outgoing model was certified under NEDC, but Ford says the improvement has been shown by internal tests. Four engines – two petrol and two diesel – will be available from launch. Focus is also available with a 1.5-litre Ecoblue diesel producing 95PS and 120PS, and a 2.0-litre Ecoblue with a power output of 150PS. Official efficiency figures will be released closer to the delivery date, but anticipated CO2 emissions range from 107g/km and 122g/km for the 1.0-litre and 1.5-litre Ecoboost petrol engines respectively, and 91g/km and 112g/km for the 1.5-litre and 2.0-litre EcoBlue diesel engines. It is also available with a new eight-speed automatic gearbox. A mild hybrid will be launched in 2020. 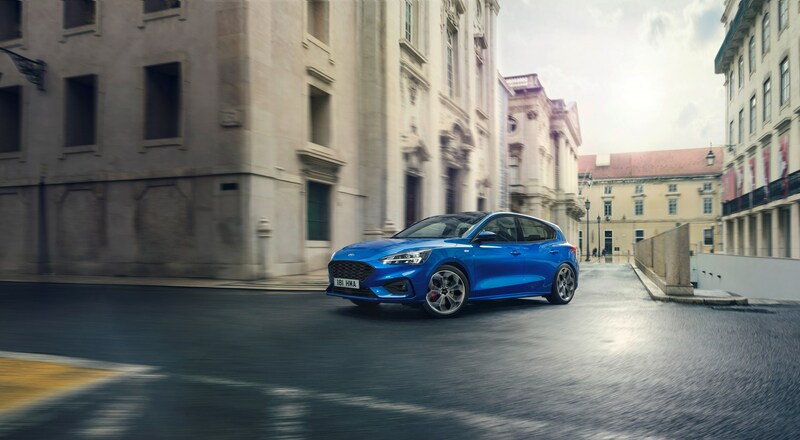 Ford says, like-for-like, the new model weighs up to 88kg less than the outgoing Focus. This has been made possible by increased use of higher-tech materials such as high-strength steel, press-hardened steel and aluminium. Other efficiency gains are from an improved active grille shutter system, which automatically opens and shuts ducts in the front bumper to allow for sufficient engine cooling while reducing drag, as well as ‘air curtain’ styling which improves airflow around the front wheels. 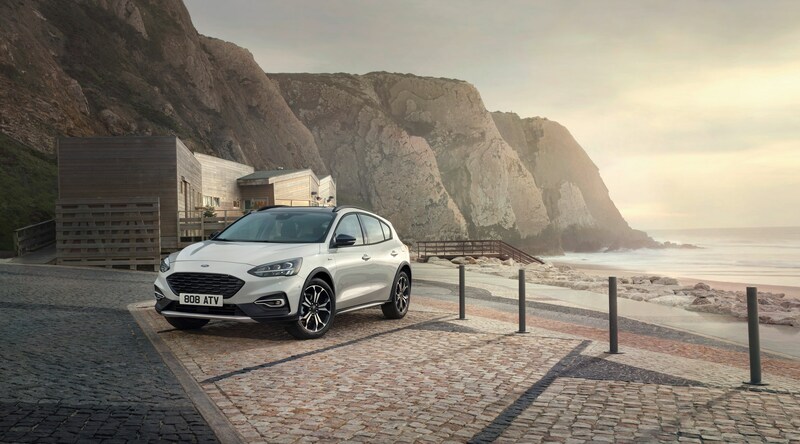 Focus is available with a wider range of advanced features than any previous Ford, bringing technologies synonymous with Level 2 automation to its car. Adaptive cruise control (ACC) with Stop & Go, Speed Sign Recognition and Lane-centring helps the vehicle maintain a comfortable distance from vehicles ahead. Stop & Go enables the ACC system to bring the vehicle to a complete halt in stop-start traffic and pull away when the traffic starts flowing again. Active Park Assist 2 enables fully automated parking manoeuvres, also controlling gearchanges in models with an automatic transmission. All Focus models are fitted with autonomous emergency braking and lane-keeping aid. Other safety technologies available are pre-collision assist with pedestrian and cyclist detection, Evasive Steering Assist, which helps drivers steer around stopped or slower vehicles to help avoid collsions, a blind spot information system with cross traffic alert, which now comes with active braking, and a rear wide-view camera which offers a near 180 degree viewing angle. FordPass Connect embedded modem technology turns the vehicle into a mobile wi-fi hotspot with 4G connectivity for up to 10 devices. As well as providing live traffic updates for the navigation system, FordPass Connect allows a number of features to be accessed through the FordPass mobile app, including vehicle locator, vehicle status for checking data such as fuel levels and oil life, and remote door locking and unlocking. 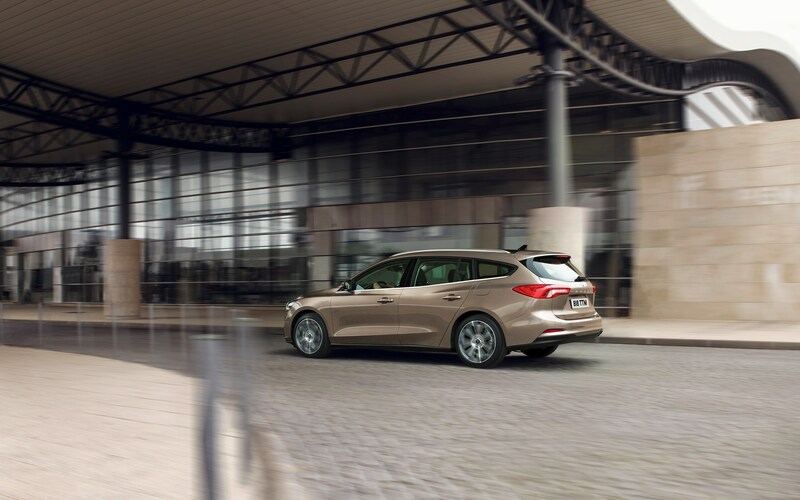 Drivers can also select from three drive modes – normal, sport and eco – while the Focus also has the first head-up display for a Ford model in Europe. 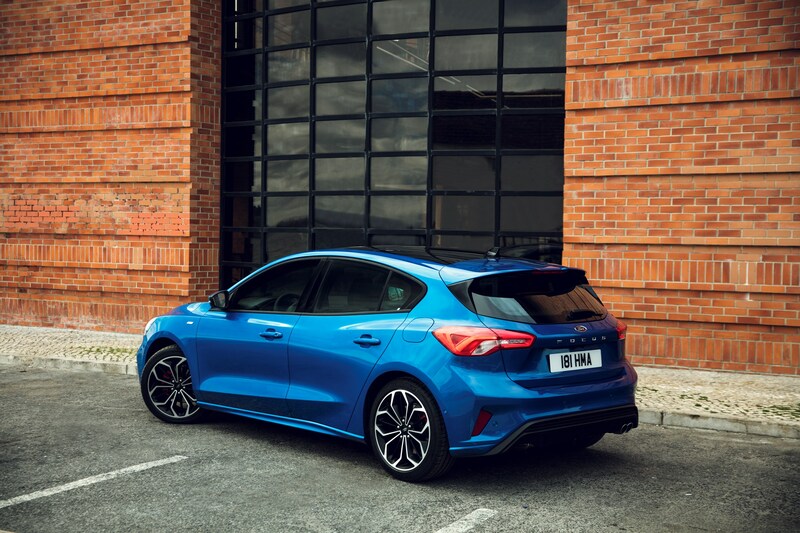 New Focus has a 53mm longer wheelbase that the outgoing model and this, combined with improved packaging provides greater interior space than the outgoing Focus. 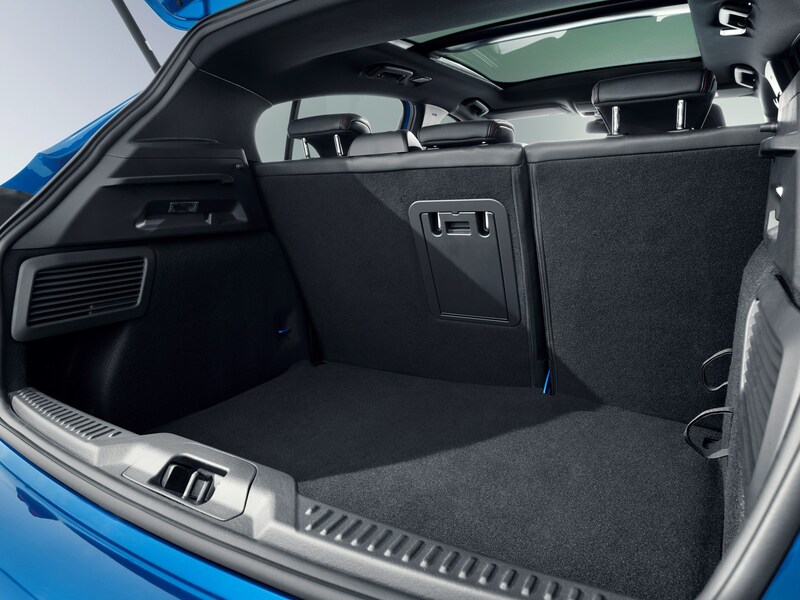 Legroom for rear seat passengers is increased by 78mm, while knee clearance to the seat in front is improved by 50mm to 81mm. Shoulder room is also increased by almost 60mm. The interior has a definite premium feel about it, with a noticeably higher level of perceived quality than its predecessor. 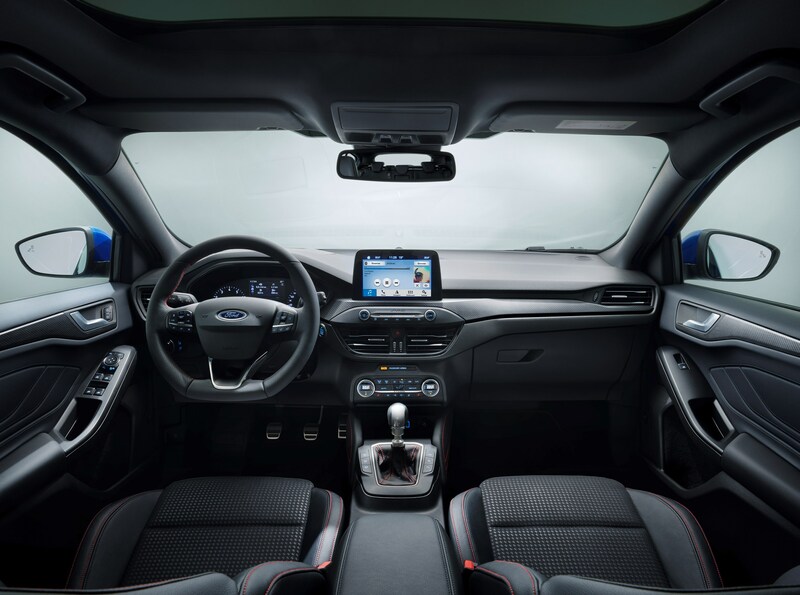 The layout of the dashboard is clear and uncluttered, and features either a 6.5-inch or 8-inch touchscreen at the top of the centre console, meaning it is easier for a motorist to glance at while driving.